Programmer, Linux user, DevOps engineer, System admin, Husband, Father. GitNex 1.2.0 is here with many new features and enhanced app screens and layout. If you have missed 1.1.0 release notes, here is the full list. I was working on GitNex for the last few months. 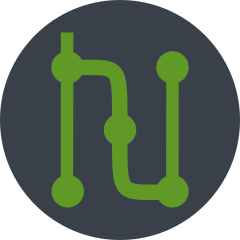 GitNex is a free, open-source Android client for Git repository management tool Gitea. Gitea is a community managed fork of Gogs, lightweight code hosting solution written in Go. © 2019 The Random Bits. All Rights Reserved. Generated with Hugo and GitLab CI. Theme templates by Tranquilpeak. Dark theme and modifications by M M Arif. All trademarks and logos appearing on this site are the property of their respective owners. Since 2008 I have used many domain registrars from time to time based on need and requirements. Currently I am using Namecheap and Namesilo. Both are great when it comes to ease of use, uptime and support. In this post we added Isso comments to a static website build with hugo. Interestingly that will add the comments to all the pages which suppose should not have comments for example about, contact etc. If you are using Nextcloud and have apps like Bookmarks, Contacts, News, Notes, Tasks etc installed. You are in luck as you can install most of these apps from F-Droid on your Android phone. If you are running static website or blog to be precise with hugo, you may have came across how to add comments to your site. Disqus for example is one of them, but it may not be your 1st choice to go with for many reasons. I have switched from WordPress to Hugo for many reasons and i am sure if you are reading this you may have your own. Setting up Hugo is not so difficult even if you don’t like to automate all this stuff, you can just use scp or rsync to push from your local machine to your server. We are going to setup new certificate from Let’s Encrypt and use Apache as web server. We need to install the following packages beforehand. Server OS is Ubuntu 18.04.
ss is an useful Linux command line untility to get detailed information about TCP, UDP sockets and packets. It can display more information compare to netstat according to man page. Few days ago i wrote about how to start/restart Apache if it is inactive in Ubuntu. Today i am going to share a bash script for CentOS 7. It is mostly the same except few changes.